Special Education Services (a member of The Menta Group) is currently seeking progressive state certified special education teachers to join the clinical teams at our therapeutic day schools in the cities of Tolleson / Phoenix Metro Area and Casa Grande. Hours are anywhere from 1 day to full time with great health benefits. Southwest Academy Tolleson (SWA) and Southwest Education Center Casa Grande (SWEC-CG) are special education schools developed for Kindergarten through twelfth grade students in the Pinal and Maricopa Counties areas who are challenged by social-emotional, learning, developmental, and behavioral difficulties. The curriculum is taught with an engaged learning methodology that nurtures academic, behavioral, and social-emotional growth. Our educational model encourages the development of academic and social-emotional skills in a positive and well-structured learning environment, with a focus on preparation for post-secondary education, employment, and citizenship. We have a no refusal, no suspension, no expulsion policy, offering a continuum of services to meet the educational needs of this challenging student population. Programming is designed for students with significant cognitive and/or developmental disabilities. The curriculum is individualized to meet each student's special needs with an emphasis on four major community living domains: self-management/home living, vocational, recreation/leisure, and general community functioning. The curriculum is taught both in school and out in the community. It includes functional academics and embedded training in social-emotional skills, communication, and motor skills. We believe that every child can and will learn. Our students are preparing to be College Ready, Career Ready, and Community Ready (3 C's). Our goal is to ensure that all students master the academic and social skills necessary for an independent and productive life. We create an Optimal Learning Environment that is well structured, engaging, safe, instructional, and responsive to students needs. We are looking for a state certified teacher with experience in working with Severe Mentally Retarded students either full-time or part-time. This position offers an access to medical, dental, vision plans, 403(b), sick pay, holiday pay, and personal/vacation days. The salary range is comparable for the position and area, depending upon certification and qualifications. Student focused approach while presenting general areas of required subject material. Ability to teach in a self-contained classroom for a full teaching day with youth having problems with ED, OHI and MIMR disabilities. Employment contingent upon a background-check, approved driving record, and an employment physical. Special Education Services (a member of The Menta Group) is currently seeking progressive state certified special education teachers to join the clinical teams at our therapeutic day schools in the cities of Casa Grande and Tolleson / Phoenix Metro Area. Hours are anywhere from 1 day to full time with great health benefits. Southwest Education Center Casa Grande (SWEC-CG) and Southwest Academy Tolleson (SWA), are special education schools developed for Kindergarten through twelfth grade students in the Maricopa and Pinal Counties areas who are challenged by social-emotional, learning, developmental, and behavioral difficulties. The curriculum is taught with an engaged learning methodology that nurtures academic, behavioral, and social-emotional growth. Our educational model encourages the development of academic and social-emotional skills in a positive and well-structured learning environment, with a focus on preparation for post-secondary education, employment, and citizenship. We have a no refusal, no suspension, no expulsion policy, offering a continuum of services to meet the educational needs of this challenging student population. We believe that every child can and will learn. Our students are preparing to be College Ready, Career Ready, and Community Ready (3 C's). Our goal is to ensure that all students master the academic and social skills necessary for an independent and productive life. We create an Optimal Learning Environment that is well structured, engaging, safe, instructional, and responsive to students needs. Wichita Public Schools seeks special education teachers for employment in Wichita, KS. 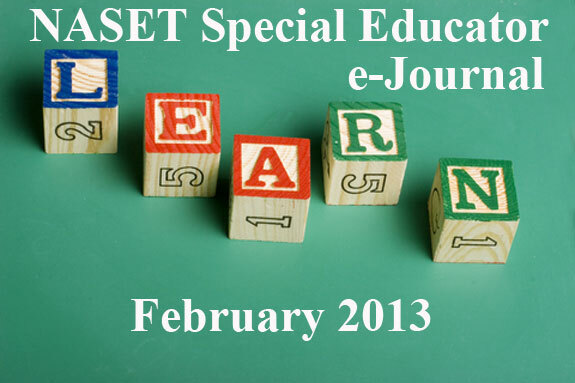 Instruct middle school special education students using various teaching methods, develop curriculum. Req's Bachelor's Degree & Kansas teaching license w/endorsement to teach Special Education. Work M-F 8-5, salary $39,470. Medical, dental, vision & life insurance offered. Submit resumes to Recruitment & Employment Office, Wichita Public Schools, Attn: Job Ref # WIC08959, PO Box 56625 Atlanta GA 30343. The Guild, a 766-approved, private day/residential year round school, is currently looking for a certified Special Education Teacher to work with students with cognitive disabilities and behavior disorders in our school program. The Guild School offers a supportive environment with on-site training and ongoing opportunities to share ideas in an open forum through frequent in-house team meetings and training opportunities. Crisis Prevention Intervention, First Aid, CPR and other required training is on-site and 'paid time' for all employees. Support from teaching, clinical, behavior, and communication specialists help to promote independence for all students and provide growth in the special education field for teachers. We are seeking teachers with a degree in Severe Disabilities Special Education who can offer our students the opportunity to reach their fullest potential and develop independent living skills. Some employee benefits include: ongoing training and support from experienced professionals in the field, employer subsidized medical/dental/disability insurance, 403B retirement opportunities, paid holidays and accrued time off. We are in an easily accessible suburban location, 10 miles west of Boston.